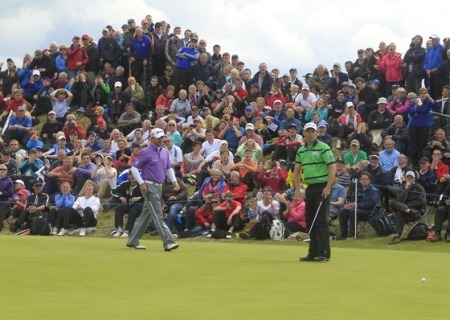 Padraig Harrington putts on the 15th alongside Graeme McDowell in the second round of the Irish Open. Picture Fran Caffrey www.newsfile.iePadraig Harrington faces a race against time to boost his flagging confidence on the greens and keep his Ryder Cup hopes alive. Like Rory McIlroy, the three time major winner is looking ahead to the Open at Royal Lytham in two weeks, hoping the putts start dropping again. But while McIlroy’s problems are simply about adjusting to the slower European surfaces, Harrington has lost faith in his ability to read a putt. Chasing a victory in next week’s Scottish Open that would revive his chances of winning a seventh Ryder Cup cap, he’ll be working hard on his short game and putting for the next fortnight in the hope that he can solve all his problems by lifting a third Claret Jug at Royal Lytham. Up nine spots to world No 60 following his seventh place finish in the Irish Open, Harrington said: “When the putts aren’t dropping, it is tough to gain any momentum or any confidence. “When I look back, I missed numerous opportunities. I hit the ball really well and I can only think of two less than perfect shots today [Sunday]. It is nice to have that going forward. “The game is good and I’m hitting the ball as well as I have ever hit it. But I have got to hole putts. The good thing about the Irish Open is that I kept hitting good putts no matter how lost I was in terms of confidence in the reading of the greens. Harrington will return to action the Scottish Open at Castle Stuart next week knowing that a win could put him inside the 10 automatic qualifiers for Jose Maria Olazabal’s Ryder Cup team through the world rankings. Following the Irish Open, he is 24th in European Ryder Cup Points List and just over 1 million points outside the top five. Making Olazabal’s team through that route would require a win at Royal Lytham. But he could find himself inside qualifiers if he wins the Scottish Open as he’s now 21st in the Ryder Cup World Points list behind Rafael Cabrera Bello, who moved into the automatic places following his share of second place at Royal Portrush. The Dubliner has been frustrated by his near misses in terms of getting world ranking points on the board recently. Rory McIlroy didn’t hole the putts in the Irish Open. Picture Fran Caffrey www.golffile.ieRecalling his costly final hole bogey at the US Open, he said: “If you look at the last four weeks, every week has been a bit of a fail when it comes to earning points. “I lost twice the points that I got for bogeying the last at the US Open. That’s a sore subject. “I need a win to make this Ryder Cup team and I suppose getting back in the world’s Top-50 would help as it would get me into the Bridgestone Invitational and give me an extra tournament for Ryder Cup qualification. “But a win is what I need to get into that Ryder Cup team, so for the next two weeks I will be concentrating on links golf. “I am pretty confident going to Royal Lytham. The game is good. If I stay patient maybe I will hole the putts the week of the Open and won’t be worried about missing them this week. McIlroy is already a certainty to make the Ryder Cup team but he wants to regain his world No 1 ranking and winning the Open would make that a formality. But he knows that his putting will have to be sharp when he takes on a resurgent Tiger Woods - winner of his 74th US Tour title at Congressional on Sunday - in the Open. The Holywood star bounced back from a run of four missed cuts from his previous five starts by topping the ball-striking charts in Portrush. Now all he needs is to rediscover his feel on the greens to have a fantastic chance of becoming a major winner again. 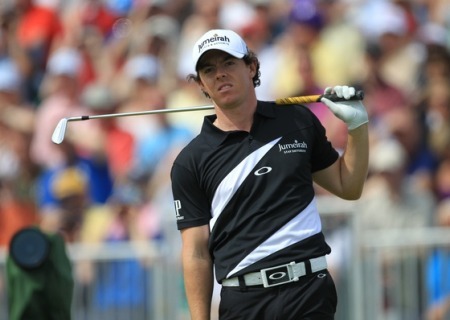 McIlroy said: “I didn’t hole as many putts as I would have liked. They just didn’t break as much as I thought they would and didn’t have the right speed. 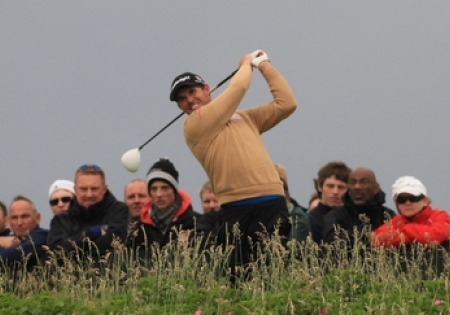 Padraig Harrington has the wind in his sails at Royal Portrush. Picture Fran Caffrey www.newsfile.iePadraig Harrington took full advantage of a benign course set up to top the home challenge in the Irish Open. 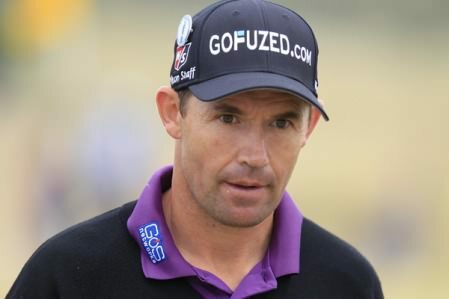 Padraig Harrington is the bookies’ favourite to lift the Irish Open. Picture Fran Caffrey www.golffile.ieRoyal Portrush wants to host the Open again and if the famed Dunluce Links gets the nod from the R&A some sunny day, the members may look back to the day Pádraig Harrington won his second Irish Open as the true watershed moment in that process. 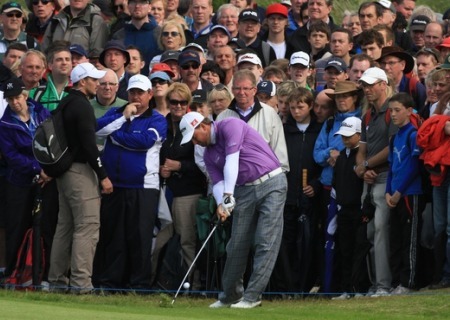 Graeme McDowell whetted his appetite for the Open at Royal Portrush. Picture Fran Caffrey www.newsfile.ieGraeme McDowell wants to uncork some more champagne golf in this week’s French Open in Paris. But his thoughts firmly fixed on filling the Claret Jug following his vintage Irish Open finish.